Suspect fraud? Call our Fraud Hotline! One of our goals is to increase awareness of fraud and the vigilance of everyday citizens to report fraudulent activity when suspected. Fraud can be reported online, by mail or by calling our Fraud Hotline at 1-800-644-6292. Calling the Fraud Hotline is the most interactive and direct way that you, our partners in fraud prevention and detection, can help. We realize that such partnerships are necessary to achieve our fraud prevention goals. For example, the conviction of Alfreda Dozier in October 2013 was the result of a call to the BWC Fraud Hotline from an anonymous source. You may suspect someone is working while receiving compensation, filed a false claim for an injury that did not happen or is committing another type of workers’ compensation fraud. Calling a fraud hotline may seem rather intimidating. We understand that it can be a nerve-wracking decision to make the call. The person you suspect of fraud could be a friend, a loved-one or even an immediate family member. Above all, we realize the importance of personal security and safety to each caller. When you call the BWC Fraud Hotline, you will speak with a real person on the other end, one who is ready and willing to record your concerns and one who has years of knowledge, skills and experience securing information from sources like you. Honest consciences do not need to wait. When you call, you’ll speak with a professional like Bre. She will enter your responses directly into our secure fraud management software. Your identity will remain either anonymous or confidential, depending upon your preference. You do not need to have all of the facts worked out; you do not even need to hold 100 percent confidence in your suspicion. You need only to suspect that fraud may have occurred or continues to occur. Any other information that might pertain to the suspected fraudulent activity. It is through the efforts and vigilance of fellow workers and citizens like you, that we can help curb workers’ compensation fraud in Ohio. COLUMBUS – A Fairfield (Butler County) chiropractor was sentenced to pay nearly $70,000 in restitution and investigation costs to the Ohio Bureau of Workers’ Compensation (BWC). Tariq Arif pleaded guilty Jan. 13 in the Franklin County Court of Common Pleas to one count of workers’ compensation fraud, a first-degree misdemeanor, as part of a plea agreement. BWC’s Special Investigations Department (SID) began investigating after receiving allegations that Arif billed for treatment not rendered to injured workers. The investigation included an undercover operation in which BWC-SID agents posed as injured workers and sought treatment at the Back and Pain Rehab Center, a chiropractic and rehabilitation clinic owned and operated by Arif. A search warrant was executed at the clinic as well. Arif was sentenced to serve 180 days in jail, which was suspended for five years of community control. He was also ordered to pay $10,169.96 in restitution and $59,186.20 in investigative costs – a total of $69,356.16 – as a term of his community control. To report suspected workers’ compensation fraud, call 1-800-644-6292, visit bwc.ohio.gov, or visit http://www.facebook.com/ohiobwcfraud. Electronic Surveillance Equipment Symposium: Calling Equipment Vendors! As promised in our recent article, 2013: A Year in Review, we are happy to announce more information regarding upcoming Ohio Bureau of Workers’ Compensation (BWC) Special Investigations Department (SID) events. 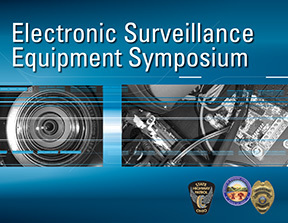 On April 17, SID, in partnership with the Ohio State Highway Patrol (OSHP) is hosting our first Electronic Surveillance Equipment Symposium (ESES). We invite interested equipment vendors who provide electronic surveillance equipment to law enforcement agencies. While the first part of the symposium will feature a variety of presentations and law enforcement seminars, attendees will have the opportunity to browse a vendor exhibition area. As a vendor, you will have the opportunity to get your products and services in front of law enforcement professionals from a wide array of local, state and federal agencies. Technology changes rapidly and investigators across Ohio must frequently adapt to learn the latest techniques in using electronic surveillance to expose unlawful activity. Your organization could be integral to Ohio’s law enforcement agencies not only keeping up with the most recent trends of illegal activities, but also in staying ahead of them. This is true no matter where your organization is located. For example, one of the first commitments to attend the event we received was from a vendor located in northern California. As a result, we would like vendors to exhibit at the ESES on April 17 at the Ohio Expo Center, Rhodes Center, 717 E. 17th Avenue, Columbus, Ohio 43211. Moreover, BWC and OSHP would like to emphasize that exhibitors will be provided tables, chairs and electric service free of charge. Space is abundantly available and exhibitors are welcome to propose additional setup options at their expense. The Rhodes Center has garage doors, which enable exhibitors to bring in large equipment and even vehicles. The venue will be open for early setup on Wednesday, April 16 with prearrangement. Vendors seeking to exhibit at this year’s Electronic Surveillance Equipment Symposium should call (614) 466-8090 or email BWC SID Training by Feb. 15. 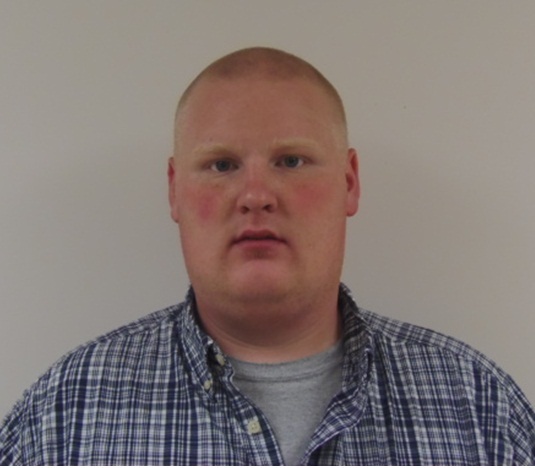 Daniel Squibbs, of Orwell (Ashtabula County), was recently sentenced for working while receiving workplace injury benefits. The BWC’s Special Investigations Unit began investigating after receiving an allegation that Squibbs was working while receiving temporary total disability benefits. Employment records confirmed that Squibbs worked at a restaurant while receiving benefits. Squibbs pleaded guilty Jan. 13 to one count of theft, a first-degree misdemeanor. He was sentenced to 14 days in jail, which was suspended for payment of court costs. He had already submitted a $2,882 payment to BWC to cover his restitution. Columbus – Ohio Bureau of Workers’ Compensation (BWC) Administrator/CEO Steve Buehrer today announced that five individuals were convicted of, or pleaded guilty to, charges related to defrauding Ohio’s workers’ compensation system in December 2013. The court actions are the result of investigations conducted by BWC’s Special Investigations Department (SID). The department works to deter, detect, investigate and prosecute workers’ compensation fraud. The following case information represents a sampling of cases that resulted in guilty pleas or convictions during December. Nicholas Thompson (Miamisburg, Montgomery County) was granted intervention in lieu of conviction Dec. 10 after being originally charged with six counts of deception to obtain dangerous drugs, fifth-degree felonies, and 13 counts of deception to obtain dangerous drugs, fourth-degree felonies, and workers’ compensation fraud, a first-degree misdemeanor. All charges stemmed from a SID investigation; investigators found that Thompson used multiple physicians to obtain multiple narcotics prescriptions that were paid by the BWC. He also used multiple pharmacies to conceal his actions. Thompson was ordered to undergo drug and alcohol treatment and was placed on probation for five years. If he violates the court terms, he will be guilty of all charges and remanded to serve time in prison. Jeffery Hall (East Liberty, Logan County) pleaded guilty Dec. 16 in Franklin County Court of Common Pleas to one count of workers’ compensation fraud, a fifth-degree felony, for working while receiving benefits. SID received an allegation that Hall may have returned to work, and investigators found that he worked as an independent sales consultant between August 2011 and May 2012 while receiving temporary total disability benefits. Hall was found guilty and sentenced to community control and basic supervision for five years. Hall must also pay restitution to the BWC in the amount of $29,317.20 plus $2,227.04 – a total of $31,544.24. In addition, he was ordered to have no new convictions; if he violates the terms of community control, he will serve six months at the Ohio Department of Rehabilitation and Corrections. Charles Newland (Vaughnsville, Putnam County) pleaded guilty Dec. 9 in Franklin County Court of Common Pleas, to one count of workers’ compensation fraud, a first-degree misdemeanor, for working while receiving benefits. The BWC began investigating after receiving an allegation that Newland was possibly operating a firearm and archery business near his home. Investigators found that he was operating Buckeye Archery next to his home and selling firearms, archery and hunting equipment and supplies between November 2010 and June 2012 while collecting temporary total, living maintenance and living maintenance wage loss benefits from the BWC. Newland was found guilty and sentenced to pay a $100 fine plus costs, which were suspended. He had already paid a total of $26,213.40 in restitution and investigative costs to the BWC prior to sentencing – $18,367.90 in restitution and $7,845.50 in investigative costs. To report suspected workers’ compensation fraud, call 1-800-644-6292, visit bwc.ohio.gov, or visit www.facebook.com/ohiobwcfraud. View and share BWC’s workers’ comp fraud awareness video on our YouTube channel. Each day, we place a great deal of trust in our electronic devices. We are confident that they will effectively perform their designed tasks and protect the information we store on them. Like all tools, however, technology can be used for good and useful purposes, but it may just as easily be used to cause harm. BWC investigators rely on the Special Investigations Department’s (SID) Digital Forensics Unit (DFU) to extract data from the devices criminals use while committing workers’ compensation fraud. Computers, laptops, tablets, servers, and smartphones all contain stored data, but may also contain information about how and when devices are used. Many criminals believe their level of technical knowledge will ensure that their actions remain hidden. However, using digital forensics, the DFU may be able to recover critical evidence. DFU provides support to BWC agents through forensic imaging as well as analysis and processing of electronic data. Through their combined experience, specialized training and certification as Certified Forensic Computer Examiners, the digital forensic analysts of the DFU have proven themselves to be invaluable to SID’s operations. Using their investigative techniques and Social Media, DFU forensic analysts successfully located fugitives Randy and Robin Hammond, who had fled to the town of Hurricane, Utah. DFU’s information gathering helped lead to their arrest, extradition back to Ohio and subsequent conviction in the summer of 2012 on charges of workers’ compensation fraud and complicity. 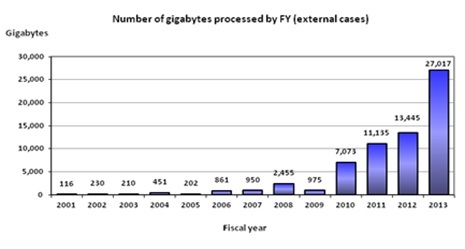 In 2013, DFU shattered its own record of success when it processed more than 27,000 gigabytes of data. This quantity of data is equivalent to the printed content stored in 27 Columbus Metropolitan Library main branch buildings. Thus, the unit more than doubled the impressive level of performance it achieved during 2012. Thank you for your interest in learning more about a workers’ compensation system that serves hundreds of thousands of deserving, law-abiding citizens in the state of Ohio. Check out archived articles here to learn more about helping us continue to protect the state of Ohio. Complete an online form or contact our toll-free fraud hotline, 1-800-644-6292, to report any suspicion of Ohio worker’s compensation fraud. COLUMBUS – A Cuyahoga Falls (Summit County) flight attendant was ordered to repay nearly $4,000 to the Ohio Bureau of Workers’ Compensation (BWC) for working while receiving workplace injury benefits. 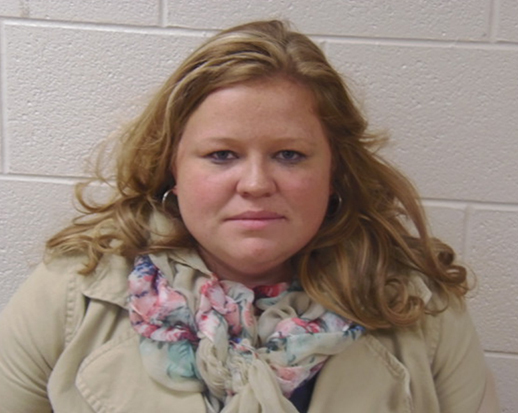 Brieanna Younglove pleaded guilty Jan. 9 to one count of workers’ compensation fraud, a first-degree misdemeanor. In March 2012, a BWC cross match with the Ohio Department of Job and Family Services revealed Younglove was earning wages while receiving temporary total benefits. BWC’s Northeast Regional Special Investigations Department conducted an investigation. Employment records verified Younglove returned to work as a restaurant server. Younglove was sentenced to 180 days in jail, which was suspended for three years of community control, plus she was ordered to pay a $100 fine and court costs. Terms of her probation include paying restitution to the BWC in the amount of $3,852.43. A photo of Younglove is available here.